Politics of Burundi takes place in a framework of a transitional presidential representative democratic republic, whereby the President of Burundi is both head of state and head of government, and of a multi-party system. Executive power is exercised by the government. Legislative power is vested in both the government and the two chambers of parliament, the Senate and the National Assembly. The National Defence Force is the state military organisation responsible for the defence of Burundi. 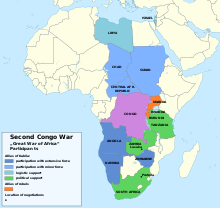 Burundi is one of the few countries in Africa, along with its closely linked neighbour Rwanda among others, to be a direct territorial continuation of a pre-colonial era African state. 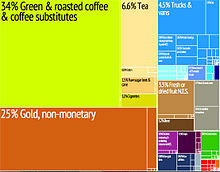 The Tutsi, or Abatutsi, are a social class or ethnic group of the African Great Lakes region. Historically, they were often referred to as the Watutsi, Watusi, Wahuma, Wahima or the Wahinda. The Tutsi form a subgroup of the Banyarwanda and the Barundi people, who reside primarily in Rwanda and Burundi, but with significant populations also found in Uganda, the Democratic Republic of the Congo and Tanzania. Major Pierre Buyoya is a Burundian politician who has ruled Burundi twice, from 1987 to 1993 and from 1996 to 2003. With 13 years combined as Head of State, Buyoya is the longest serving Burundian President. The Front for Democracy in Burundi is a Hutu progressive political party in Burundi. Colonel Jean-Baptiste Bagaza (1946–2016) was a Burundian army officer and politician who ruled Burundi as president and de facto military dictator from November 1976 to September 1987. 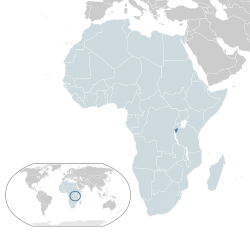 The Burundian Civil War was an armed conflict lasting from 1993 to 2005. 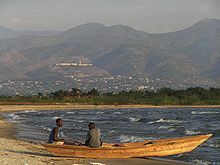 The civil war was the result of long standing ethnic divisions between the Hutu and the Tutsi ethnic groups in Burundi. The conflict began following the first multi-party elections in the country since independence from Belgium in 1962, and is seen as formally ending with the swearing in of Pierre Nkurunziza in August 2005. Children were widely used by both sides in the war. The estimated death toll stands at 300,000. 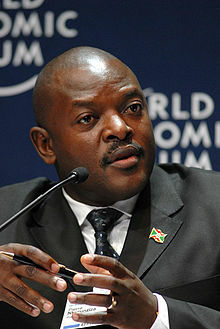 Pierre Nkurunziza is a Burundian politician who has been President of Burundi since 2005. He was the Chairman of the National Council for the Defense of Democracy-Forces for the Defense of Democracy (CNDD-FDD), the ruling party, until he was elected as President of Burundi. The National Liberation Front is an ethnically Hutu political party in Burundi that was formerly active as militant rebel group before and during the Burundian Civil War. Marguerite (Maggie) Barankitse is a humanitarian activist from Burundi, seeking to improve the welfare of children and challenge ethnic discrimination. After rescuing 25 children from a massacre, she was forced to witness the conflicts between the Hutu and Tutsi in Burundi in 1993. 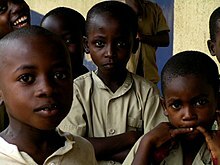 Barankitse set up Maison Shalom, a shelter to aid children in need that provided access to healthcare, education, and culture to over 20,000 orphan children. 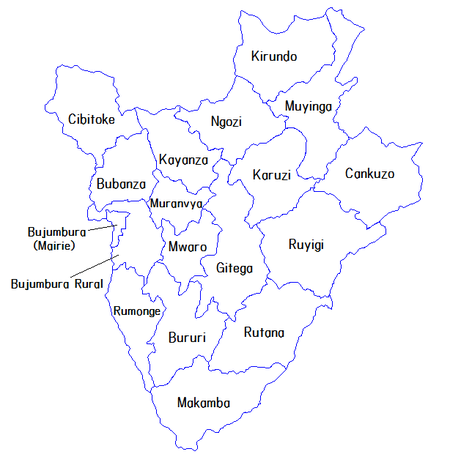 The indigenous population of Burundi is divided into three major ethnic groups: Hutu, Tutsi, and Twa. Its ethnic make-up is similar to that of Rwanda. Tensions between ethnic groups exist and have become violent on several occasions since independence. 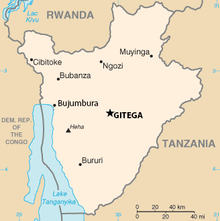 On 18–19 October 1965, a group of ethnic Hutu officers from the Burundian military attempted to overthrow Burundi's government in a coup d'état. The rebels were angry about the apparent favouring of ethnic Tutsi minority by Burundi's monarchy after a period of escalating ethnic tension following national independence from Belgium in 1962. Although the Prime Minister was shot and wounded, the coup failed and soon provoked a backlash against Hutu in which thousands of people, including the participants in the coup, were killed. The coup also facilitated a militant Tutsi backlash against the moderate Tutsi monarchy resulting in two further coups which culminated in the abolition of Burundi's historic monarchy in November 1966 and the rise of Michel Micombero as dictator.